Well, we’re fully into the throngs of Spring, but even though many of us are still gazing out of our windows at dull and dreary landscapes, with April showers, grey skies and sometimes the odd snow flurry or two, I for one am going to be all optimistic and put it out there that very soon, we’ll all be basking in bright daytime sunshine and dining out on fresh balmy evenings. But, whilst we’re not out and about, still hiding away a little bit from the rain (and hail! 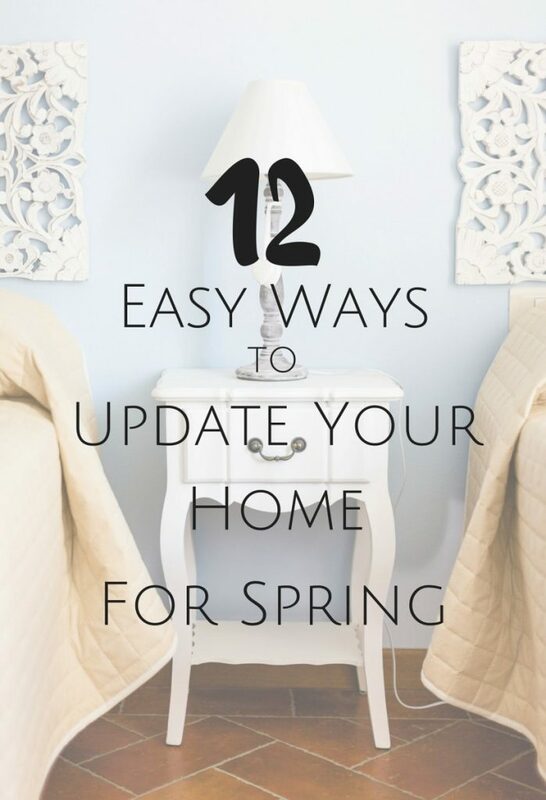 ), I’m going to try and prepare for the warm months to come and with this, I’m going to give a quick update of how you too can update your home for Spring with just a few easy, and not necessarily expensive additions to the home. Well, it’s nice to have a bit of a change as the seasons come and go don’t you think. And with just a few tweaks here and there, you can sit in a room and feel immediately as though your mood has been lifted. The most obvious way is of course using colour, but I recently posted about this in much more detail, so feel free pop over and check it out here if you fancy a little colourful inspiration. 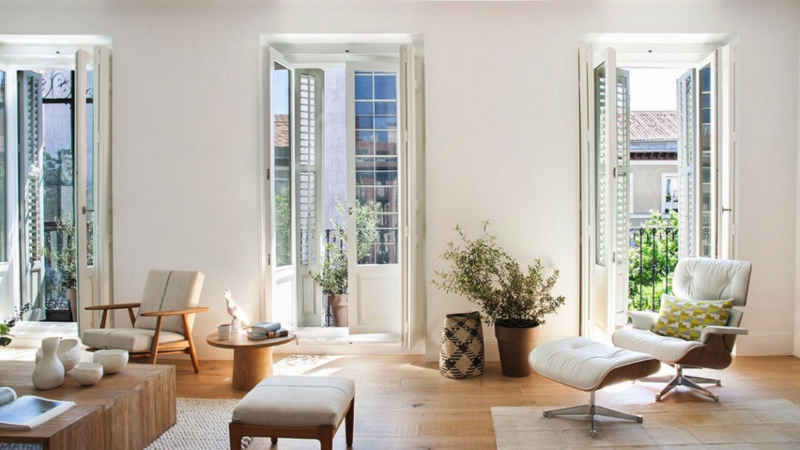 But, other ways to easily prepare your rooms for Spring could include things such as accent pieces to help enhance a room, pot plants and greenery to bring a little bit of Spring indoors, and even new linens, to really give you that fresh feeling. 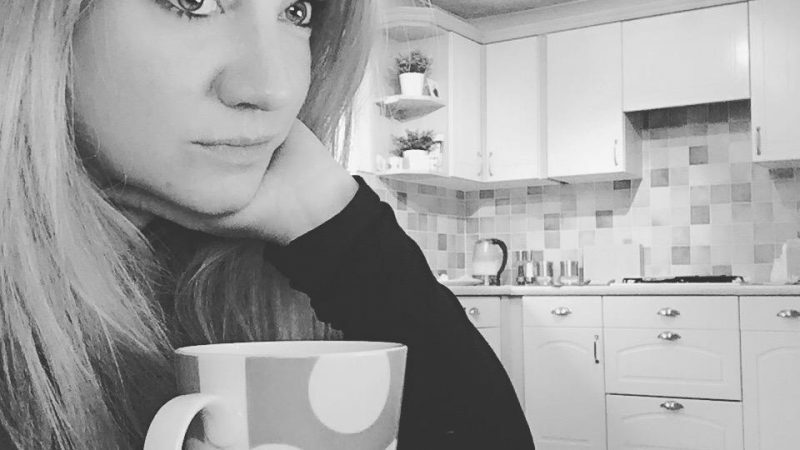 Here are some ideas to get you thinking…. 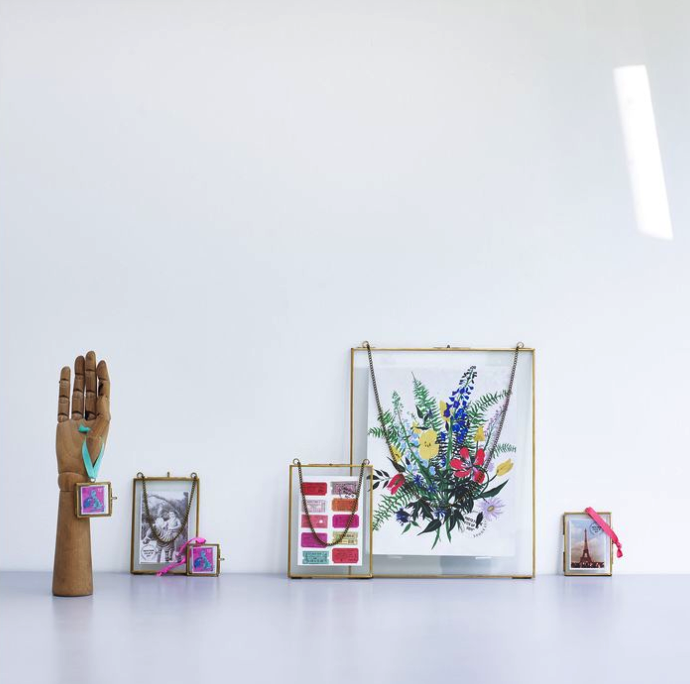 These are stand alone pieces which add a an extra element of interest to a room and could be anything from a beautiful new sideboard or a set of fabulously quirky new chairs to accessorise your plain kitchen or dining table. 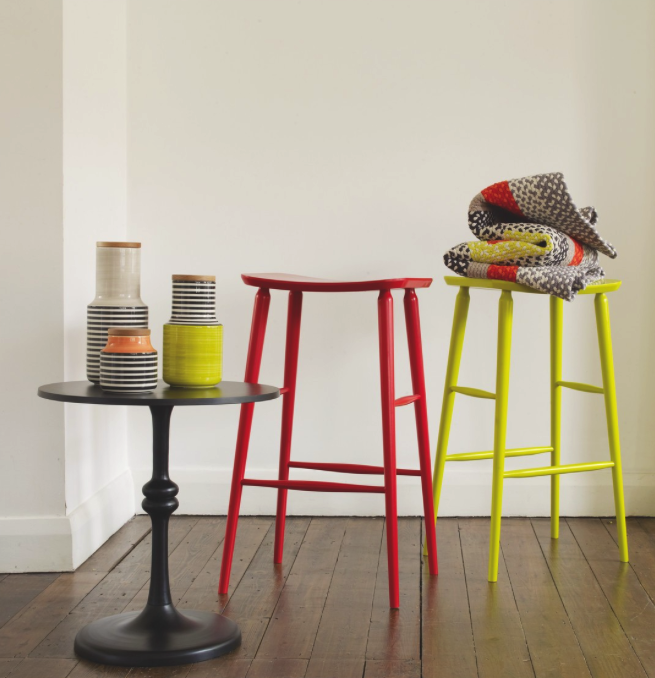 But if you’re feeling really bold why not a pop of colour to your furniture! 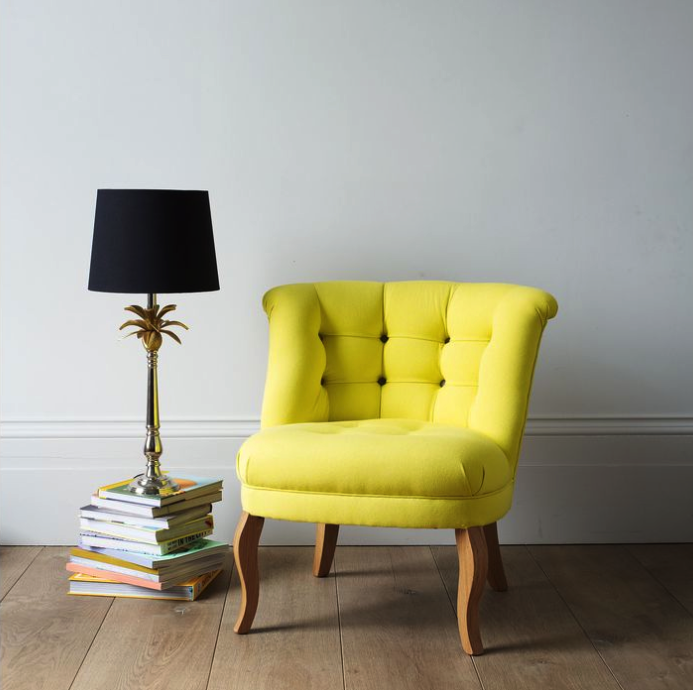 I’m absolutely in love with some of the brightly coloured accent chairs available at the moment, and just can’t wait to get my hands on something once we’ve completed our new kitchen. There really are some super amazing lights, lamps and accessories out there at the moment. 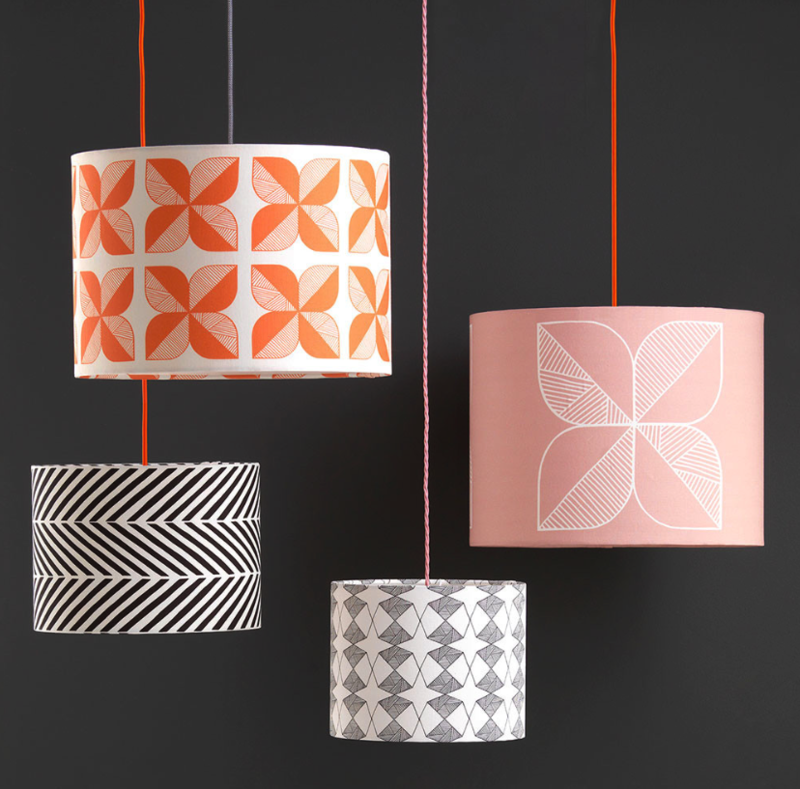 All you need is a lovely new lamp shade to brighten up a standing lamp or pendant, or a cute bright table lamp to add a little bit of Spring brights inside the home. Decorative accessories are an easy way to change and update your home, as and when seasons, styles, and fashions change. The pieces don’t need to be too expensive, but can really add an extra little something, and they can really help in tying a room scheme together. They can bring extra elements such as colour, texture, shape etc and really become key features. Wall art is ideal to use too. Again this can be as expensive as you want it to be but one way to keep it cheaper and cheerful as and when the seasons change, is to go for prints. 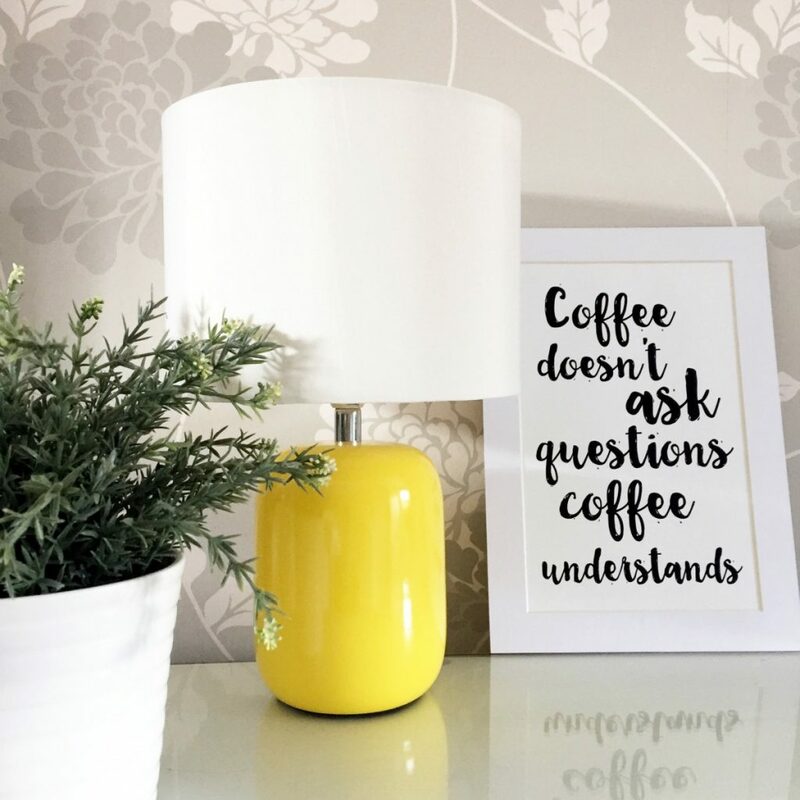 There are so many amazing sources for these nowadays, with some of my personally faves on Etsy, which are downloadable. How good is that for instant change and gratification! 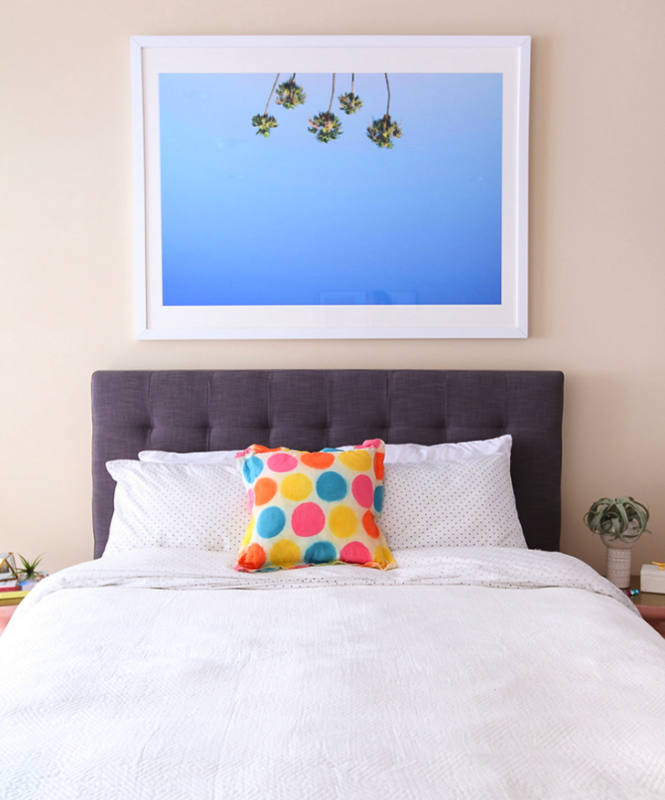 All you need is a few picture frames, or even a bit of washi tape (depending on the size of your print of course!) and you’re good to go! Mirrors are a particularly wonderful way to brighten up your homes. 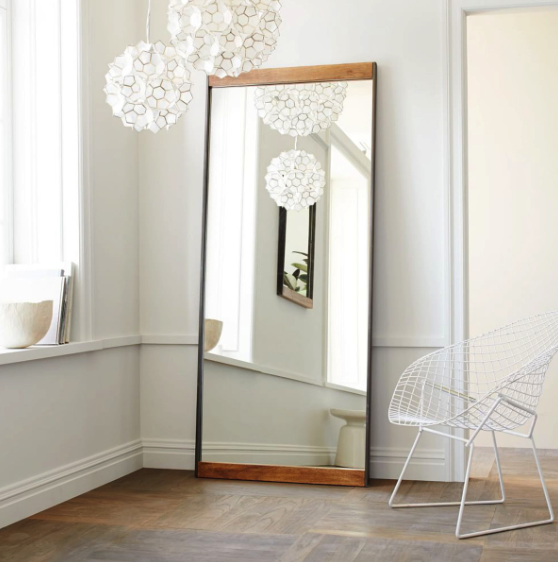 With the sun shining luminously outside, a lovely large mirror, will easily bounce the light from outside and reflect it straight back into your room, immediately brightening up your interior. You could even upcycle an older mirror with some lovely new chalk paint, or even go all glitzy and bling it up a bit with some metallic spray paint! Another totally easy and relatively hassle free option is to add soft furnishings. 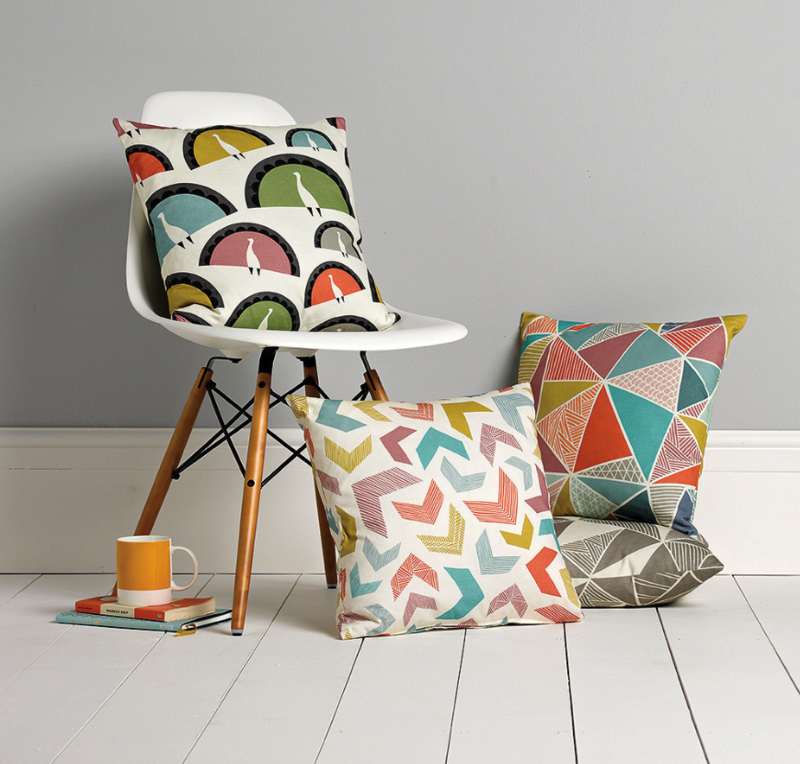 These could be anything from cushions, curtains and lampshades to throws and rugs. The array of patterns, colours, textures and styles are endless and they’ll certainly be something to suit your style perfectly for a fresh new Spring season. Ok, so this is a little trickier perhaps, and certainly more labour intensive – but how about a nice new coat of paint or even a brightly patterned wallpaper! 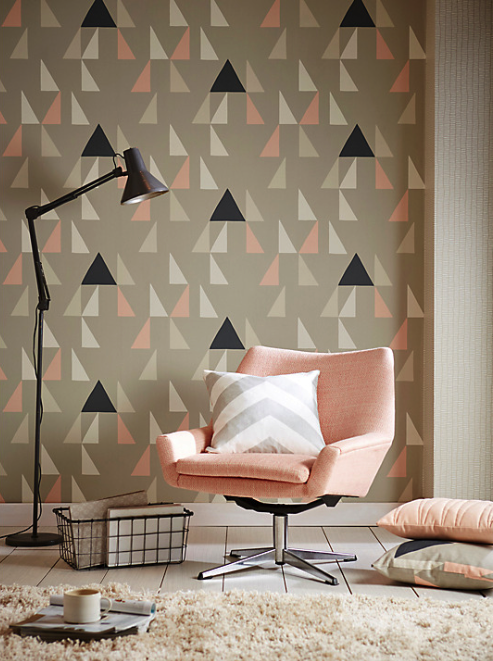 It doesn’t even have to be every wall which is given a fresh new feel, how about just a statement wall perhaps? 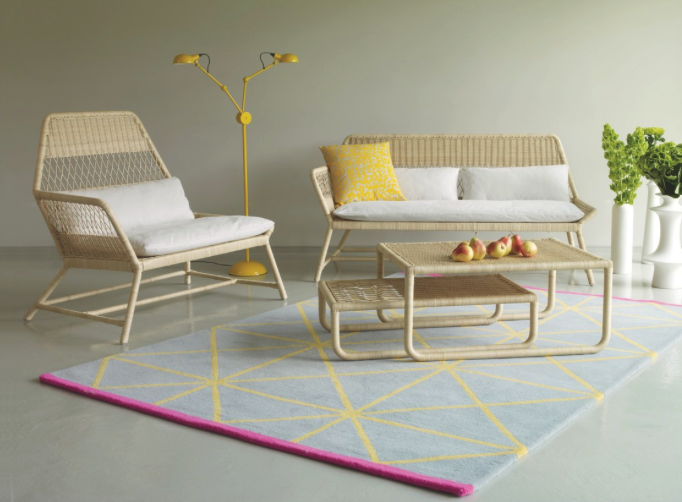 Again, here you can read about some of my favourite Spring interior colour schemes for this Spring and Summer. Just look at this wallpaper – I’m in love with it! I most definitely have my eye on this for a coming project! 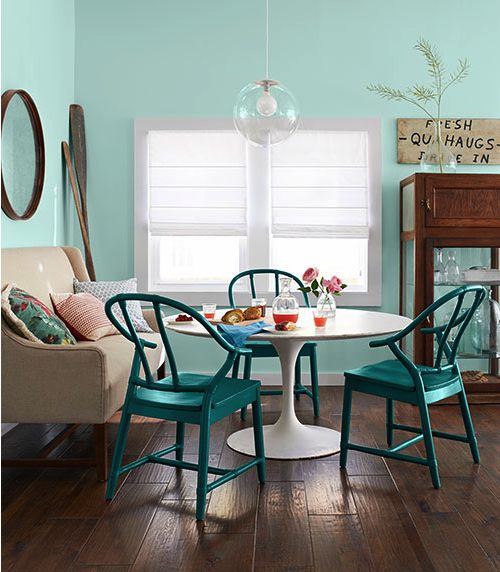 One immediate way to update your interior for spring is to bring some of the outside, inside! And the easiest way of all to regularly brings colour and happiness into your home is with flowers and plants. 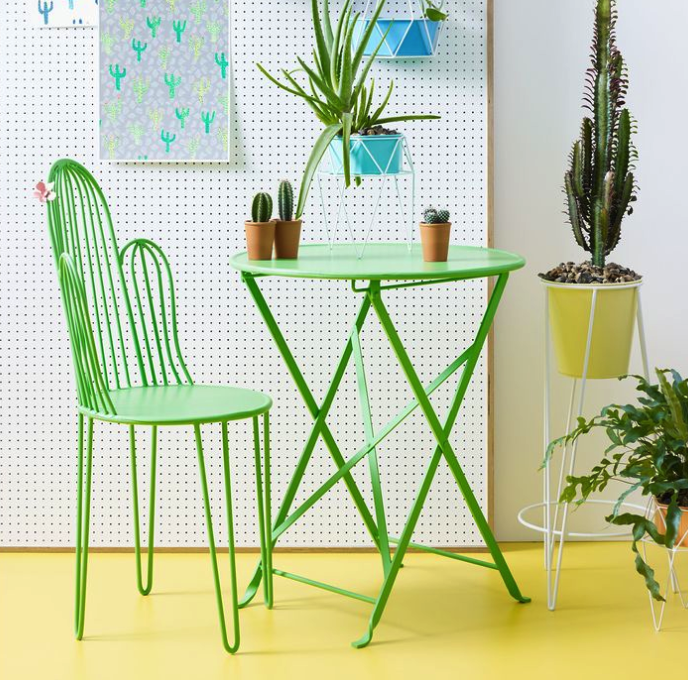 House plants are fabulous for many reasons as I have written about previously, but these are a super duper fab way to give your home a fresh new feel. House plants admittedly take a little more tender loving care than your average fresh cut stems of your favourite flowers, but are still relatively easy to maintain, so long as you remember to water them that is. 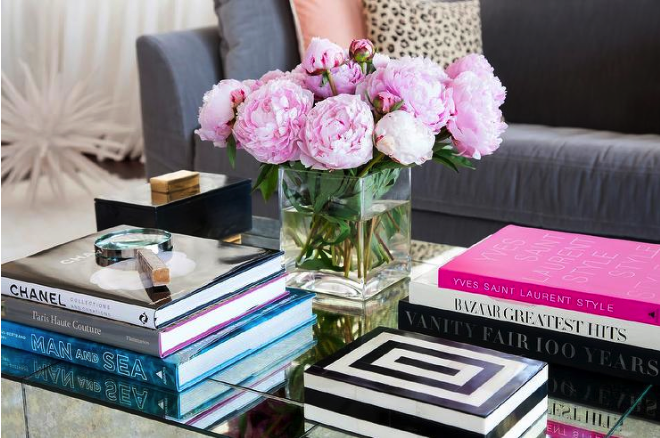 But fresh flowers are just amazing for really adding a pop of joy and happiness into a room, and with so many more varieties available in the warmer months, makes it a perfect accessory for the home. Which is why they have their own separate post right here! Again, an easy one. Though if you’re anything like me – you can be a bit fussy when it comes to your personal likes and dislikes, so this may take a bit time investigating in your endeavor to find the perfect scent for you! In spring I really like the fresher floral scents, rather than the spiced and woody scents of winter. Going back a few years now, one way that ladies freshend up their homes at the onset of Spring was to change up their window dressings. The heavy, darker curtains of winter were taken down for a good old wash, and replaced with curtains or nets in much more lightweight fabrics and colours. Now I’m not saying you have to go out and put up nets on all your windows here, just saying that by swapping to a lighter, brighter curtain, can really make a room sparkle and shine! 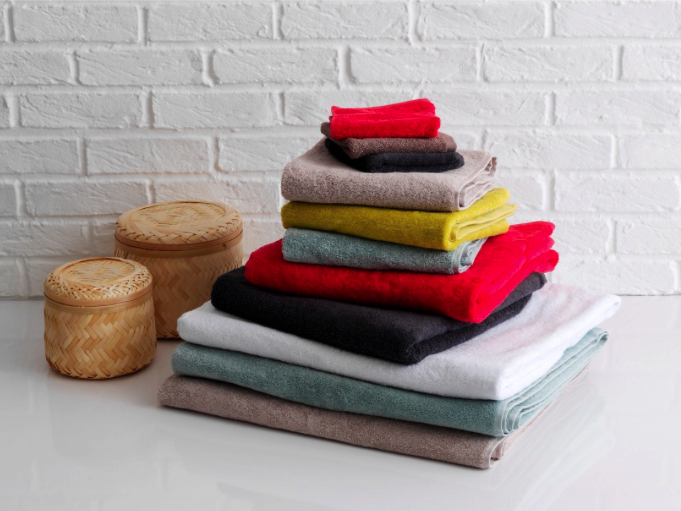 Not too dissimilar to the last point, bed linens and towels are another way to freshen up your home for Spring. 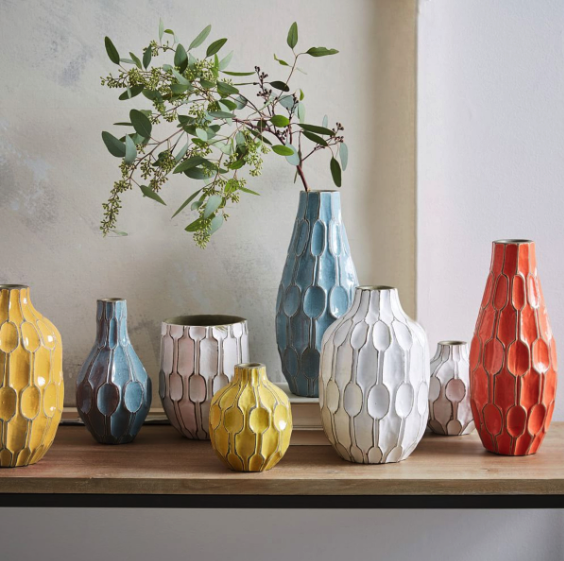 Again, lighter and brighter fabrics, perhaps some beautiful accent florals o some fabulous new geometric patterns to really give your rooms a pop of something extra. It’s Spring guys, so it’s time to let the fresh air and light in. Just drawing back the curtains, pulling up the blinds and opening up those windows will immediately make you feel all happy and energised. Of course that is if you can see out of them, so perhaps a nice little Spring window clean would help too.